Chiropractic care has a lot of benefits for your body, but one you may not have been aware of is migraine treatment. Whether you’ve only had one migraine before or experience chronic migraines, you know it is not a pleasant experience. If you live with migraines you have likely tried almost every remedy under the sun, ranging from special diets to countless medications. But have you considered using a physical method, such as chiropractic care, to treat your migraines? If not, you may want to think about visiting a chiropractor in Lakewood for migraines. A chiropractor specializes in aligning your spinal cord and providing treatment for the surrounding soft tissue and nerves. Your spine runs from the base of your back, up through your neck to your skull, and surrounding your spine is a network of nerves. It’s no wonder studies have found a strong connection with spinal alignment and migraines, among other health issues. If your spine is not properly aligned it can cause nerve pinching or irritation, which could very easily be the source of your headaches and/or migraines. Adjusting your vertebrae so they are stacked properly can alleviate nerve pressure and, hopefully, achieve the ultimate goal of permanently eradicating your migraine symptoms. Aside from adjusting your spine, a chiropractor might also suggest some other physical therapy of dietary advice to supplement your chiropractic care. Having a well balanced and healthy diet can help you get the most of your chiropractic care and improve your overall wellness. Additionally, your chiropractor may recommend certain exercises to correct your posture as well as relaxation techniques to ensure muscle health. Another benefit of turning to chiropractic care for migraine treatment is it is a holistic and natural approach to pain management. While migraine cases are much more serious than others, pain management without prescription pills is always a healthier treatment option. The goal of chiropractic care is to treat and return your body to its best state so the healing process can be more efficient and effective. The sooner you schedule an appointment with your local chiropractor for migraines, the sooner you can alleviate your pain and begin your road to recovery. 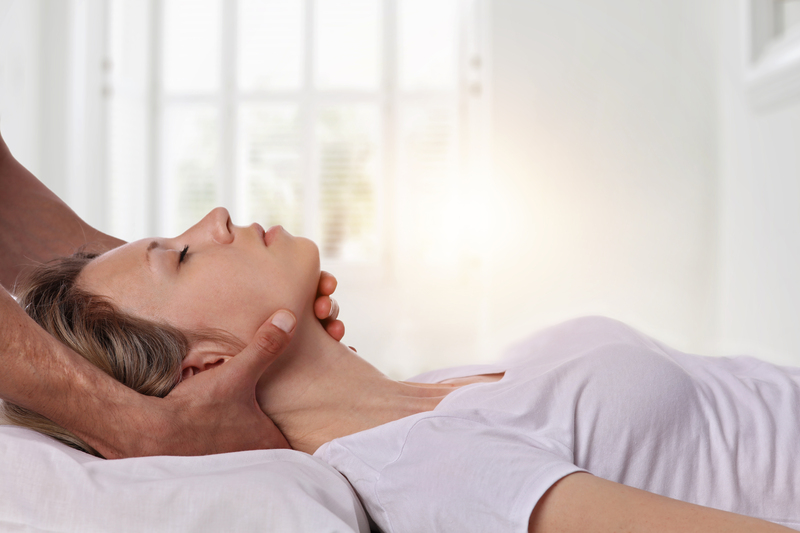 If you have never been to a chiropractor for migraines in Lakewood, there are just a few things to expect from the adjustment process. A doctor of chiropractic often uses his or her hands or an instrument to apply pressure to help move vertebrae back into place. This usually happens with a quick movement and is often without pain or distress. You will probably hear a noise similar to the one you hear when cracking your knuckles. This sound is completely normal and nothing to fret about. The sound is referred to as joint cavitation and is simply release of gases from the joint. Remember to consult your migraine specialist, if you have one, before seeking chiropractic care and to note any medications you are taking upon your first chiropractic visit. If you are looking for chiropractic care in the Lakewood area, go no further than Academy Park Chiropractic.